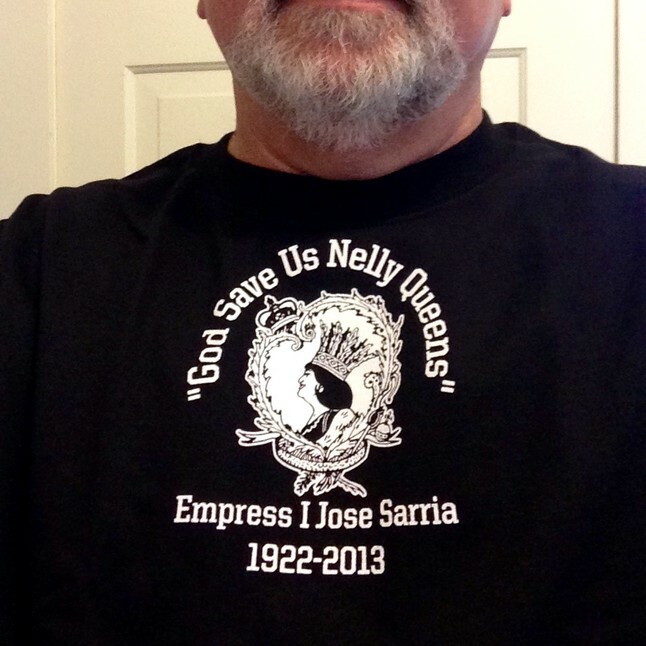 A limited edition print of r. mike nichols watercolor painting "Remembering Jose Sarria" will be made available for those donating 150.00 toward the making of the film Nelly Queen. This run will be limited to 150 prints and each will be numbered to indicate a part of this special edition in support of the film. The original painting is 15 x 21 as are the prints. 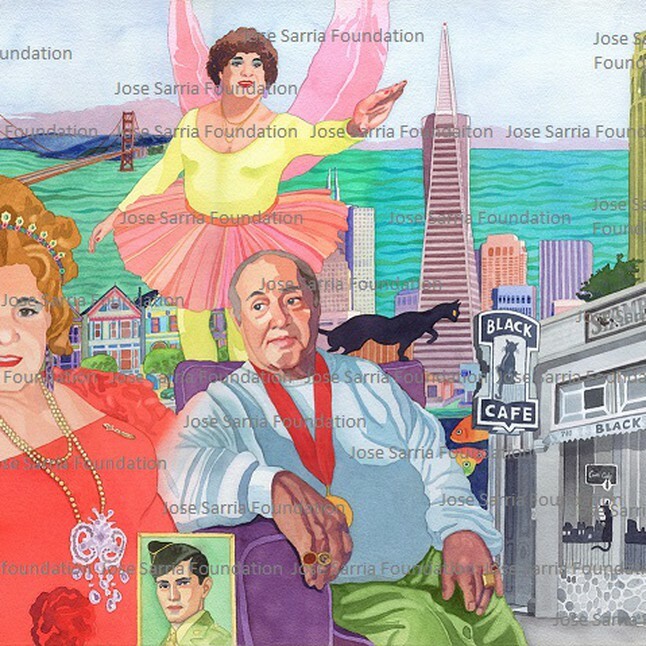 We purchased the original painting and r. mike nichols, has donated the reproduction rights for the watercolor painting "Remembering Jose Sarria" to the Jose Sarria Foundation for the sole purpose of raising funds to further the memory of Mama Jose. We thank him for his generous donation hope you love the art as much as we do. Donate 20.00 and get a Tshirt. 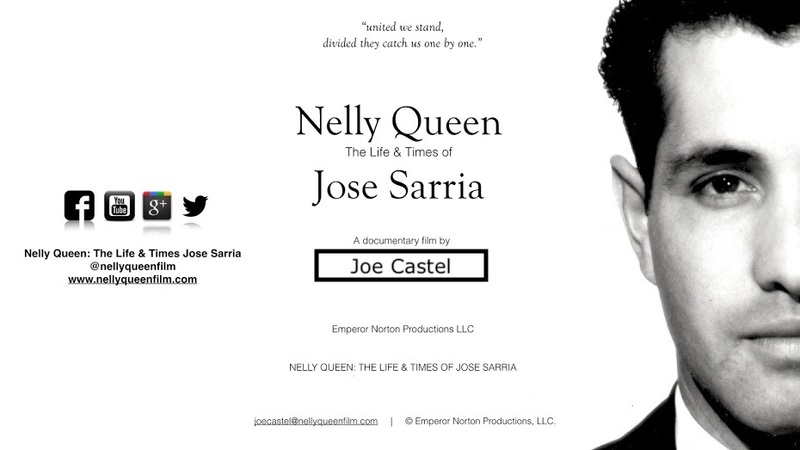 Donations go to the film production company for the film Nelly Queen: The Life and Times of Jose Julio Sarria. 100% of each donation will be passed directly to the filmmakers for the making of the film. The Foundation has donated the cost of printing the shirts as our thank you for your donation.